If you really are into hot sauces you know that it’s almost been part of a special group. When I say really into hot sauce I mean it, that means putting hot sauce on almost everything you eat. I don’t bring my hot sauce consumption to that extend but I really enjoy it. For me hot sauce goes well in my Spaghetti sauce instead of using the hot peppers. On chicken or in burgers to give a little kick, chili and even in soup instead of using spices. 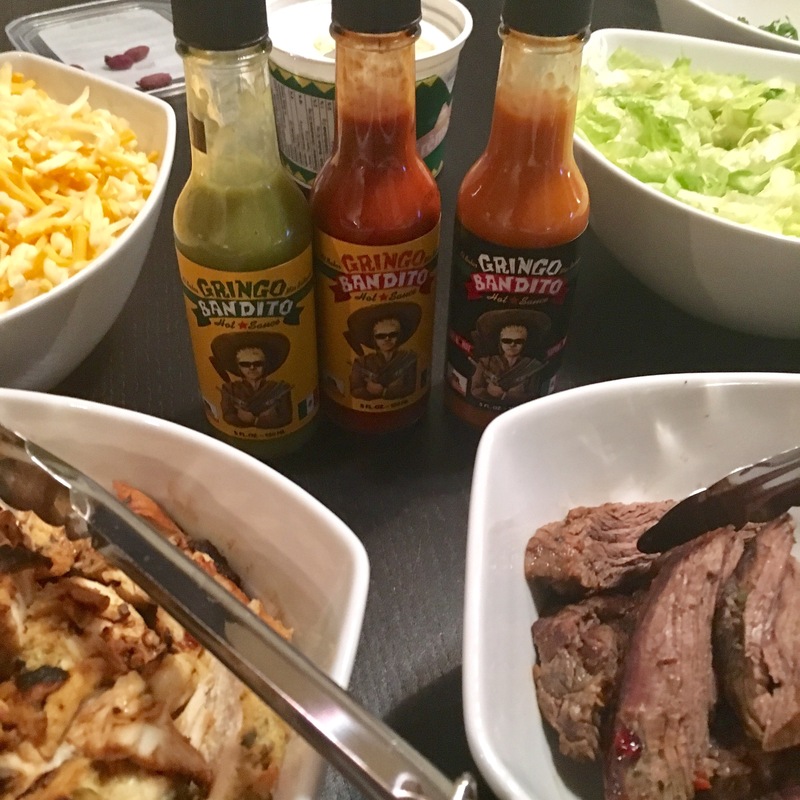 Naturally most people will associate hot sauce with Mexican dishes and that’s why wanting to organize a tasting of the Gringo Bandito sauce I had received I decided on organizing a Taco Night with friends. 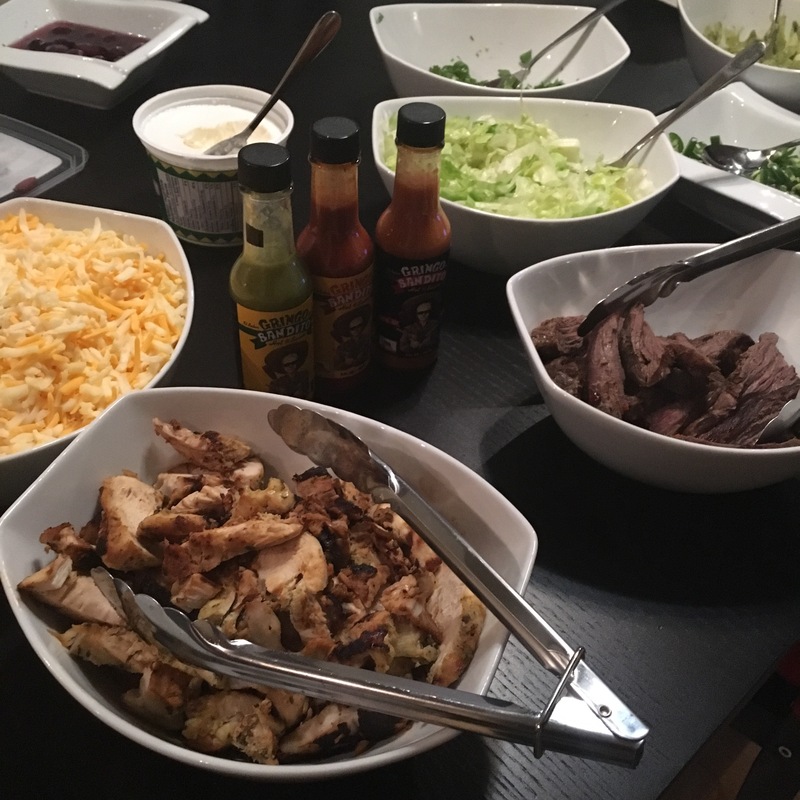 We got all the ingredients we needed to make some beef and chicken tacos but before adding the sauce each and everyone had to try them to see which were their favorites between the Original Red Sauce, the Green Sauce and the Super Hot Sauce. Of course you can always just drop a few drops in your mouth but to keep it classy we put a few drops on tortilla chips. Tasting the different ones gave me some different ideas, I would surely use the Original Red in my Spagetti sauce or soup but I would most likely use the Super Hot Sauce in my chili or chicken. For the tacos I stopped my choice on the Green Sauce. Beware if you don’t know hot sauce green doesn’t mean that it’s not spicy there’s still habaneros in there and I just found it more suiting to the Tacos. We were 8 people and the Green Sauce was the favorite for the tacos but followed very closely by the Super Hot Sauce. The Original Red was the less used for the Tacos but that’s perfect with me as it’s the one I will use to more recipes, already tried it with shrimps and it was excellent. 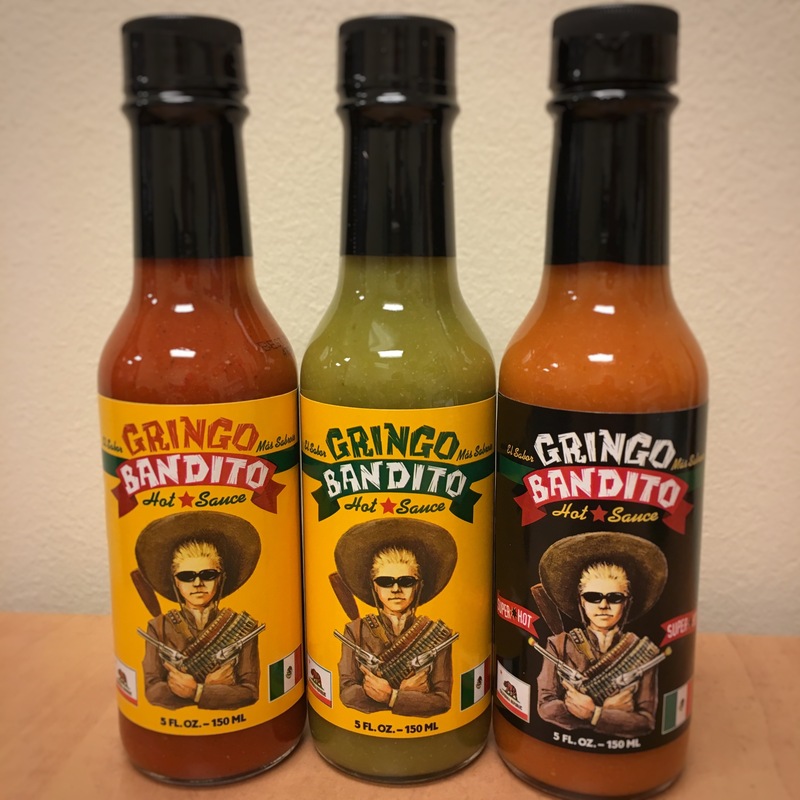 One more cool fact Gringo Bandito was formed in 2004 by Dexter Holland, front man of the multi-platinum group The Offspring. You can get their sauces on their website Gringo Bandito or search on it to see if it’s available in a store near you.